Everyone knows that when your little one starts to crawl their knees take a beating. I remember when my son was crawling how raw and sore his knees were from crawling on hard floor to the ground outside. 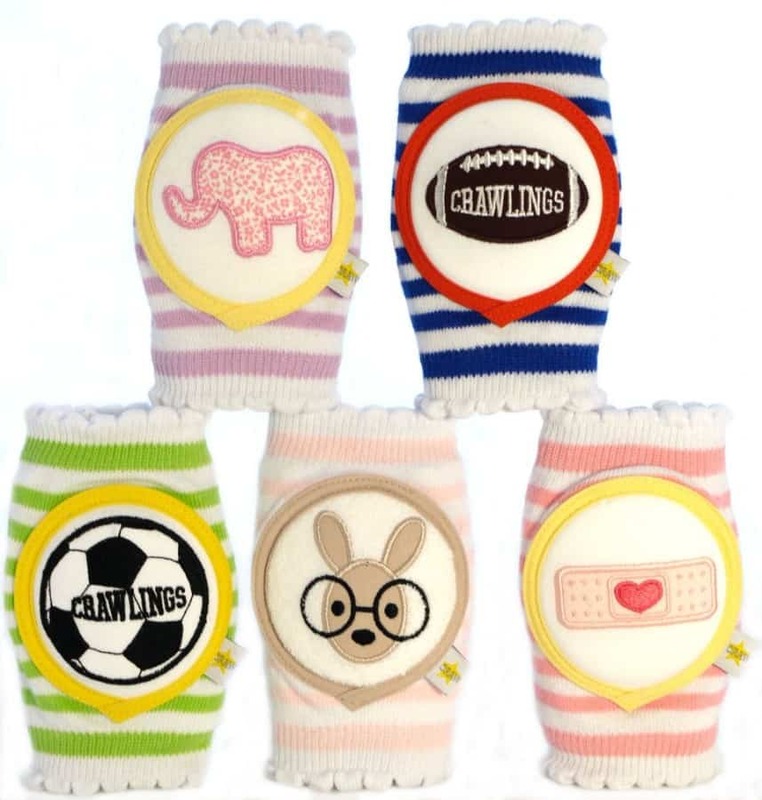 Crawlings knee pads for children help project you child’s knees against the rough surfaces that make contact with their little knees. Crawlings are designed to protect a child from the time they learn to crawl, walk and then run through the big, wide world. 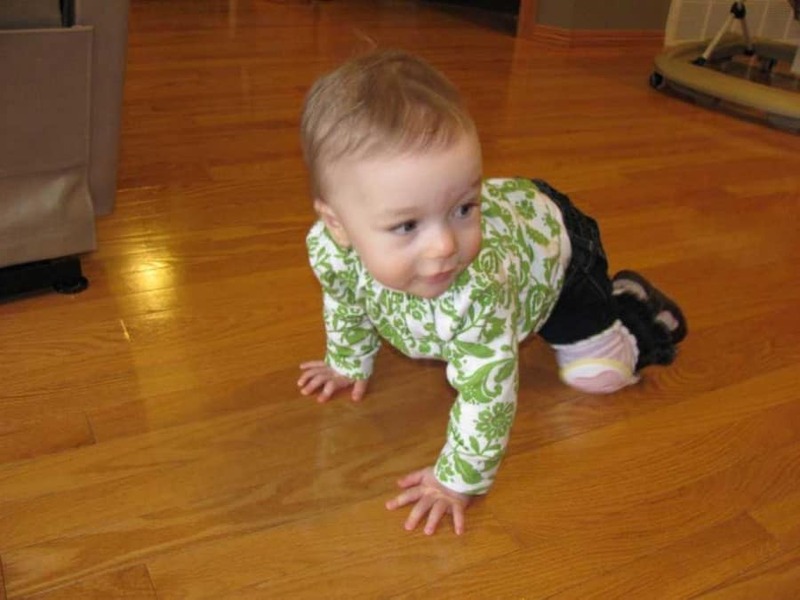 Crawlings knee-pads are perfect for indoor use and the rough and tumble great outdoors. Crawlings are made of premium cotton, EVA foam and spandex, the kneepad is soft, stretchable and breathable, designed to move and grow with the child. The knee pads are embroidered with fun designs that will keep any motoring child in style standing up, falling down, or exploring what’s under their knees. Crawlings are easy to put on, even over a pair of jeans, and feel comfortable for the child. When I took them out of the package my niece actually squealed when she saw them and as soon as I had them on her knees she was off and crawling. Crawlings even gave her extra grip for those slippery hardwood floors. The moment my Mom saw these great knee pads, she immediately asked where to buy them. She said they would be the perfect baby shower gift. I agree! These knee pads come in a cute, star covered box that is perfect for baby showers and birthday parties. 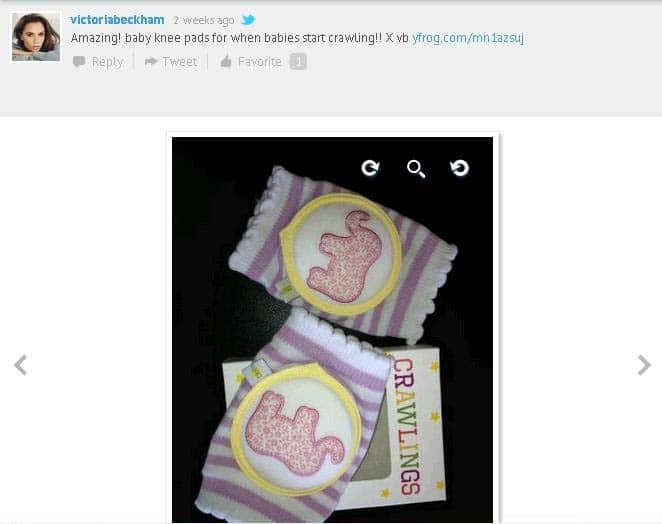 Even Victoria Beckham is tweeting about this great product for kids! Two (2) Mommy Moment readers will win a pair of Crawlings of their choice! The soccer ball motif is quite cute! I like the pink bandages! So cute! I would choose the Pink Skull and Crossbones!! I love the Yellow Bandage! SO cute!! The Pale Pink Striped Bunny really is the cutest in my opinion. I love the elephant and bunny with glasses! They are so adorable! I love these for a baby gift. My little one is past that stage but I would love to give them to my friend who is expecting boy #5! I love the lavendar striped elephant ones! I like the Green Scull and Crossbones! Since we’re expecting but don’t know the gender either the bandaid ones or the kiwi soccer ones. If I won, I would choose the Apple Green Skull & Crossbones Crawlings. Apple Green Skull & Crossbones! The cute little pink ones with the bandages on them. Adorable! I love the Lavender Striped Elephants!!! I’d pick the Pink Striped Bandage ones. I like the elephant ones super cute! Great Idea, especially cause my daughter slams her knees very hard when she crawls. the pink bandage one…so cute!!!! Aww i wish i knew about these when my lil guy was smaller. so cute. I would pick the soccer ball ones! I like the blue bandage ones. They are cute! Blue Bandage knee pads. These all are so adorable. I’d pick the blue bandage style. 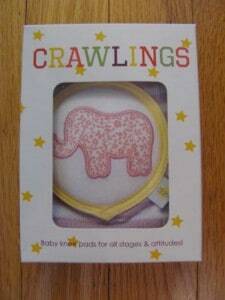 i like the pink elephant ones for my little girl………who’s almost ready to crawl! gotta love the bunny ones with easter around the corner. Cute idea! I would choose the lavender stripes with the elephant. I’d get the Red Baseball pair… so cute! I would choose the football ones with navy blue stripes. these are so cute & I know a little grandson that will be crawling any moment… I would pick the Green Scull & Crossbones crawlings! they have hardwood floors so it is great they are no slip on surfaces. Two pairs, right? I like the yellow bandages and the lavender elephant. Blue bandage is really cute. I love the Pink Striped Bandage knee pads! The Bandage Knee in Blue! So cute! I love the pink striped bandages. I would choose the red baseball ones. 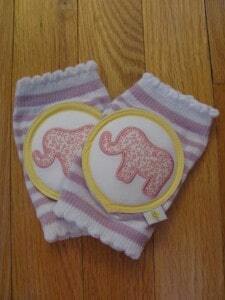 The pink elephant ones for my new granddaughter coming in June! I like the yellow bandage pair. i’d choose the apple green skull & crossbones!